Representative Example: borrow £7,000 with £1,000 deposit over 48 months with a representative APR of 14.9%, monthly payment would be £163.87, with a total cost of credit of £1,865.76 and a total amount payable of £7,865.76. CARMONEY IS A BROKER NOT A LENDER. Very easy communication, everyone very happy to help! Polite and caring staff! Excellent service with very speedy reply on loan. Nathan was very enthusiastic and helpful. Very fast and helpful service with friendly staff to help me undersanding all I need. Thanks! Superb staff! Namely Nathan Gallacher, who arranged my finance, speedily, hassle free and with a great sea of professionalism. I wouldn't hesitate to recommend to anyone. The whole process was quick and easy. The advisor I dealt with Mr Euan Blackwood was very helpful,knowledable. Explained everything well. Always available at the end of an email or call. I will recommend to family and friends. Fantastic service all I did was literally "pick a car" Thank you very much I absolutely love my car. We compare the UK's best car finance - fast! Saving you thousands! When you’re buying a car, you want to know how much you can afford to borrow. And you need to know that you’re getting a great rate. All too often, that information can be hard to come by. Or is unreliable. But not if you leave everything to CarMoney and our helpful ninjas. Simply let us know what kind of car you want to buy, and tell us a little bit about yourself. We’ll credit check your eligibility with the UK's top lenders and get you approved with a great rate - fast! We compare over 20 of the UKs top lenders so you can be sure that you are getting the best rate loan around. No jargon, and no misinformation here. A car finance acceptance with us will give you the confidence that you need to walk into the dealership and drive off in the car you really wanted to buy; free from uncertainty and the stress of haggling. 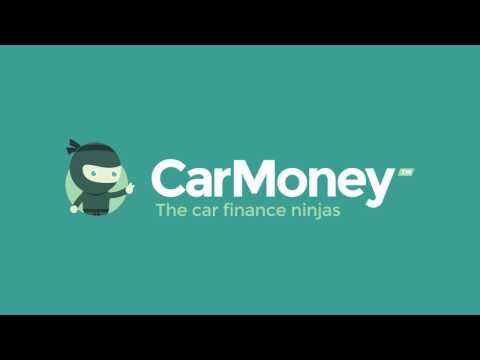 We will do all the paperwork and CarMoney finance is accepted at our network of over 12,000 trusted car dealers across UK.